Similar sighting were also reported to FOX 10 Phoenix from the northernmost portion of Mexico’s Baja California state. 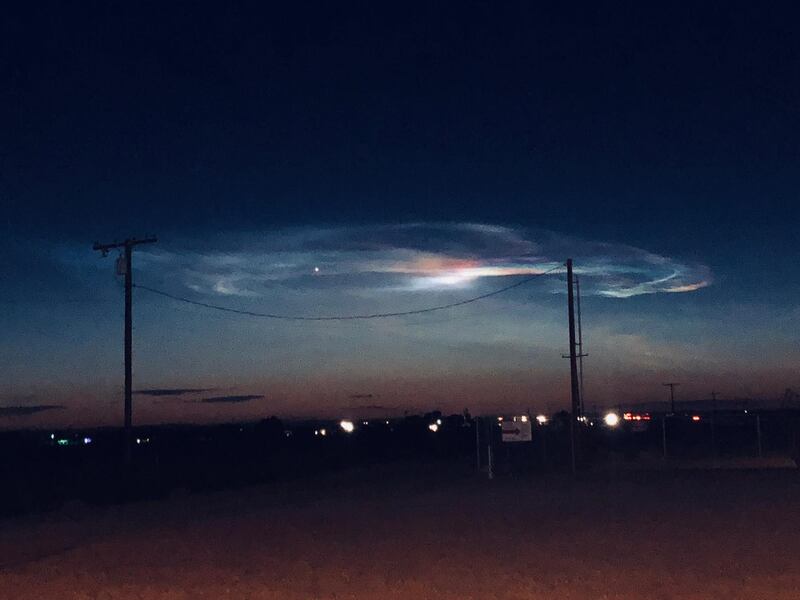 FOX 10 Phoenix has reached out to the National Weather Service for an explanation on what people saw Monday night. 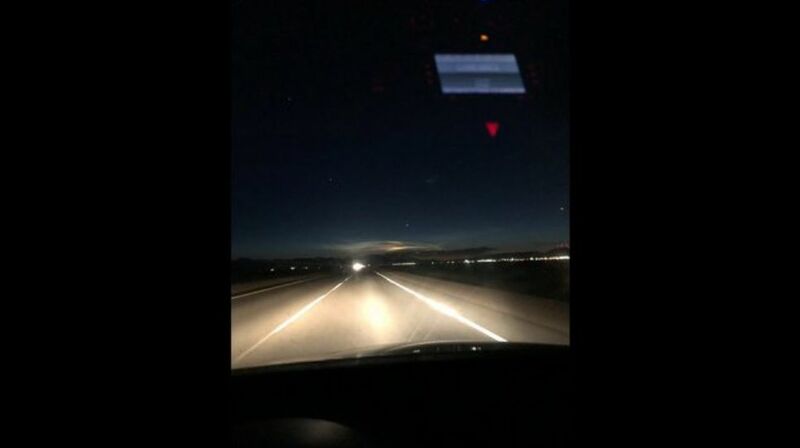 An official said the “cloud” looks very reminiscent of rocket and missile exhaust that is high in the atmosphere, and that they have seen things before with a similar appearance that were associated with activity at the White Sand Missile Range and/or Vandenberg Air Force Base. Officials with NWS, however, did not have an authoritative explanation on the exact nature of the “cloud”.